Now that your life’s golden period (read college life) is over, it is time for some real action. You might be in a dilemma about your career path. Which career option will feed your soul along with your pocket? Which career option will easily get you five digit figures? Whilst there are so many questions you might ponder, the answer to all of them is social media. In this digital age, the best way to make professional connections and search for employment opportunities is through going social. A good number of companies are posting about internships and conversing with desired candidates on LinkedIn, Facebook and Twitter. And in such a scenario, it becomes imperative for prospective job seekers like you to leave an impeccable footprint socially and on their mind. How to instantly improve your social media accounts instantly. Still Confused? Let me show you how to do that. Treat your social profiles as your resume. Create profiles which have necessary details such as education, work experience, accomplishments, skills, interests and contact details to stand out from other applications. Maintaining a professional decorum online definitely impresses the employers and increases your chances of landing the internship. Alternatively, pitching prospective employers through email is also a good bet to enter your dream company. Write 4-5 sentences about who you are, why are you applying to this internship and why should they pick you. Don’t forget to enclose a cover letter and resume that furnishes required details about you. 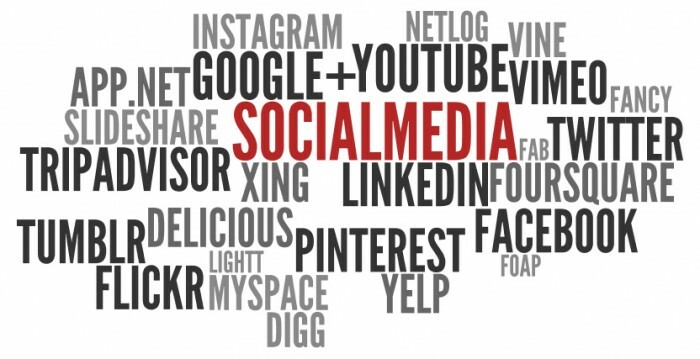 It goes without a saying that social media platforms are the first resort for hiring talents pan globe. But there are dedicated apps that make social recruiting a streamlined and hassle-free process. For example, Jobr, Shapr, Switch are top recruiting apps to dig suitable profiles and fill existing positions. If you’re able to market yourself on these apps, the sky will be your limit. So don’t limit yourself. Always look for innovative methods to attract the right internship. Are you passionate about something and want to make it your profession? Are you vocal about your passion on social media? Well, believe me your passion can lead you where you actually want. Recruiters and employers hold a special place for candidates who showcase their talent socially. So start producing relevant content today to catch their attention. There are ample numbers of universities that constantly update their job dashboard with internships in all different fields. Whether it is about app development or digital marketing, they have you covered. Dashboards are an important resource as companies whose postings appear are looking for students from that university. Visit your university’s job portal often to find out freshly posted internships. Ensure to keep an updated resume and cover letter on file to make applying easier. The biggest mistake millennials commit these days is not working enough hard for the jobs. They apply for one job and believe they’re done. Remember, you need to go an extra mile to touch the sky. Post on your social accounts, ask an alumnus for a referral or apply on a job portal. Do whatever it takes. At the end of the day, it would be worth your efforts. As Dwayne Johnson says don’t be afraid to be ambitious about your goals. Hard work never stops. Neither should you. Believe in yourself, take a plunge into the world of your dreams and use social media wisely. All the best for your future endeavors!